2, Rue D´Odessa, 75014 Paris, France. Montparnasee, is the quarter choosed by the artists and is the one where you will find the Hotel Berkeley. 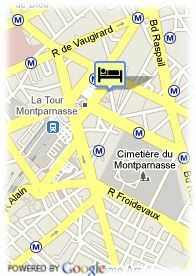 It is very close to saint-germain-des-près, business center, boutiques, shows and typical food restaurants. 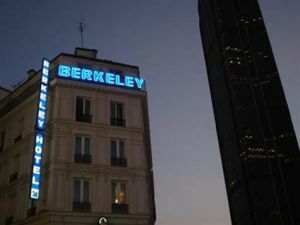 The berkeley hotel will attend you in an elegant atmosphere in order to offer you the best services. Paid public parking near the hotel (covered) (28.00 km). Near exhibion centre, Near trainstation, Centre, Near airport, Near shopping centre. For older children and adults 23.00 € for each additional bed is charged.